Preheat oven to 350 degrees. 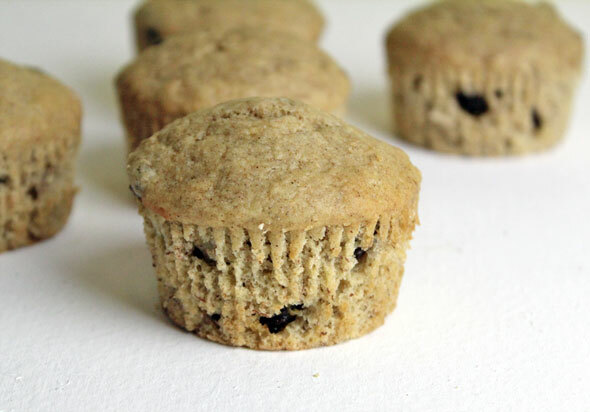 Coat a nonstick 12-cup muffin pan with cooking spray or line with paper cups. In a large bowl, stir flour, sugar, baking powder, baking soda, salt, cinnamon and nutmeg together. Make a well in the center. In a medium bowl, combine butter, applesauce, milk, egg, vanilla. Add wet ingredient to dry mixture, followed by mashed bananas. Stir with a wooden spoon until just combined. Fill muffins cups two-thirds full. Bake for 18-22 minutes. 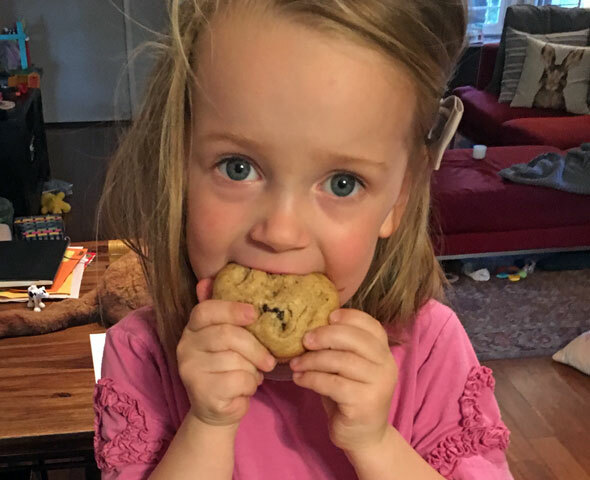 1/2 cup raisins or 1/3 cup miniature chocolate chips. These are delicious and you don't miss the fat! 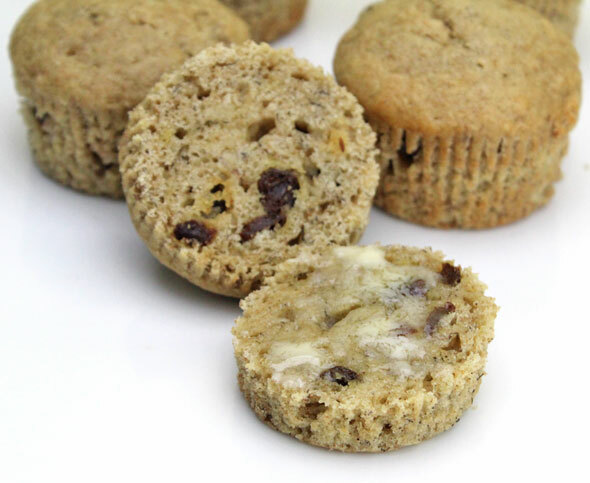 Each muffin has only about 1 gram of fat if you use the egg substitute! Recipe number 2140. Submitted 9/7/2007.